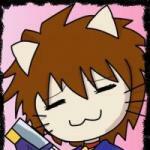 There are 5 posts in this thread, and it has been viewed 7638 times. Mechanized Attack. What do you think of it? Welcome to the Game of the Week! So what do you do with hundreds of heavily armed and dangerous cyborgs, all modeled after the T-800 from James Cameron's 'Terminator' series? Yeah, kill 'em all, just like Metallica once used to say. SNK in 1989 couldn't agree more and released with Mechanized Attack its second rail shooter after Beast Busters in the worldwide arcades. Speaking of Terminator i.e. Ahnuld, the second player is obviously influenced by the Master of Disaster himself. 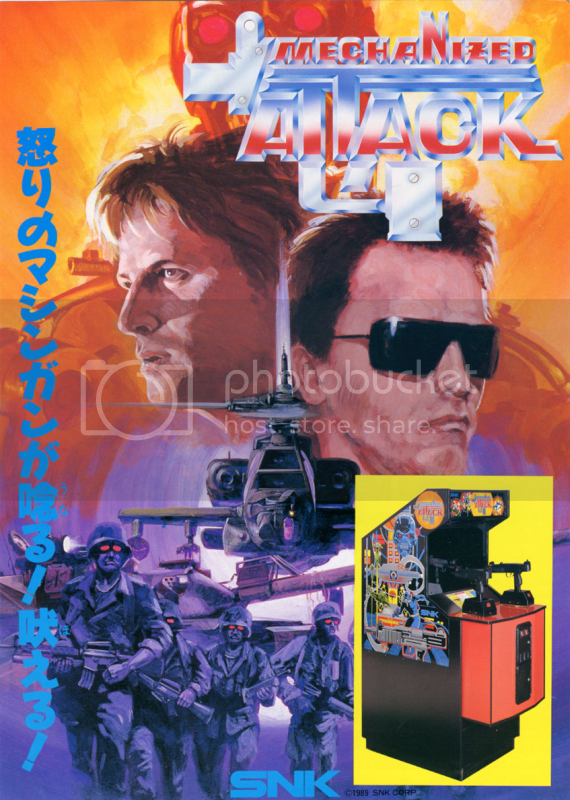 SNK even was shameless enough to put him on the official arcade flyer, alongside with a guy looking like a hybrid of Christoper Lambert and Michael Biehn. 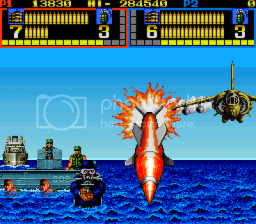 The game's plot involved two elite soldiers shooting their way through thousands of cyborgs, boats, tanks and even trains on a tropic island (who cares for a deep storyline anyway?). The game itself was also ported to the NES one year later, obviously with a support for the iconic Zapper gun. Have you guys ever heard of it or even played it? Any thoughts and opinions to share? 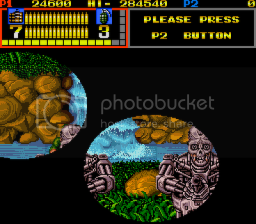 Mechanized Attack is a shooter game developed and published by SNK. It was released in North America for the arcade in 1989, and it was ported to the Nintendo Entertainment System in 1990. 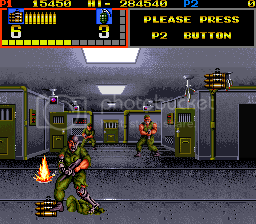 It is one of several games in the NES library to use the NES Zapper light gun. Inspired by Operation Wolf, Mechanized Attack puts the player up against an army of Terminator-like robots, disguised by a covering of skin. 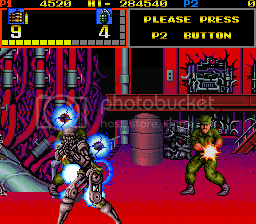 Anyone willing to make some scores as Arnold Schwarzenegger fighting through hordes of cyborgs? If you're up for a High Score Challenge just leave a post or send Priest a PM. For shits and giggles, this game is worth a playthrough, if you do ever run across it in the wild. The game is about twenty five minutes long, and you'll be dropping a dollar into the slot every minute (per player). I believe it has a syncing problem when played via Kaillera MAME?